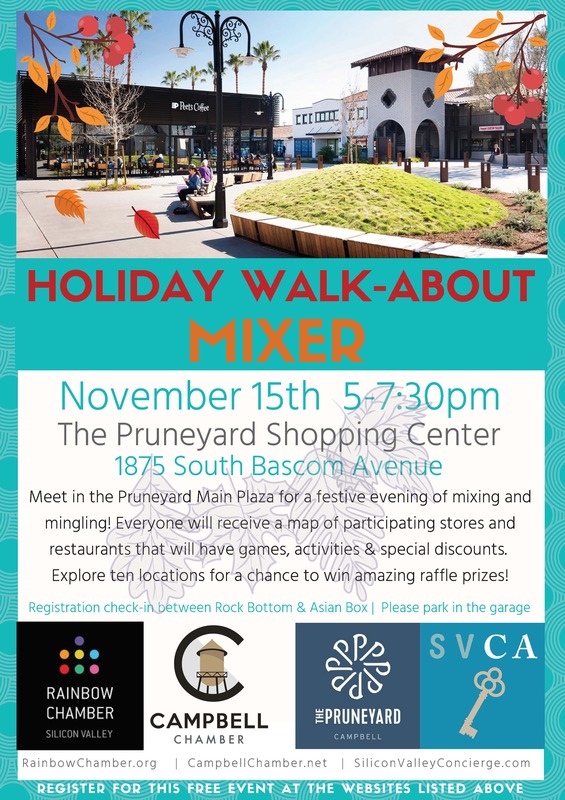 Meet in the Pruneyard Main Plaza for a festive evening of mixing and mingling! Everyone will receive a map of participating stores and restaurants that will have games, activities, and special discounts. Explore ten locations for a chance to win amazing raffle prizes! Registration check-in will be between the Rock Bottom Brewery and Asian Box. Please park in the garage. Three chambers will be participating: Rainbow Chamber, Campbell Chamber, SVCA and the event is sponsored by The Pruneyard.